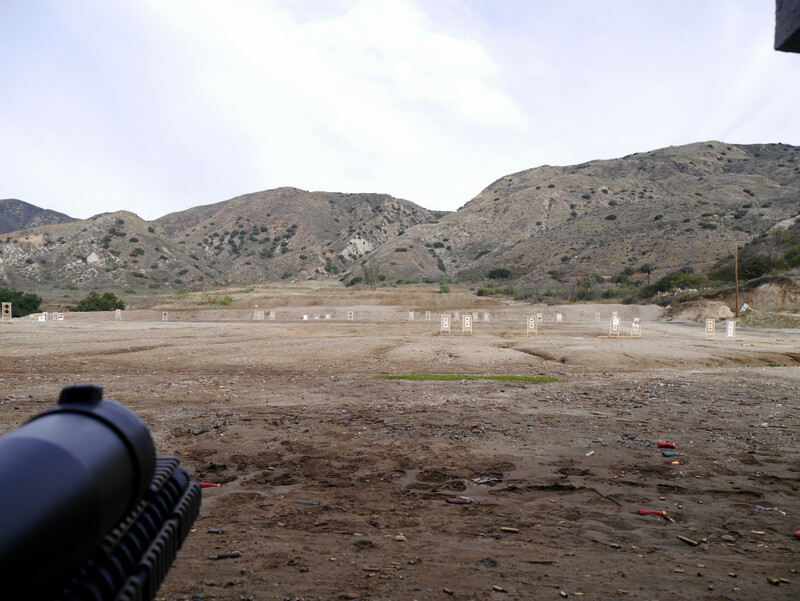 Angeles Shooting Range is my go-to outdoor range in Los Angeles. It’s great for pistols with their metal targets, shotguns with their clay throwers, and precision rifles with their 600 yard range. I’ll cover the nuances I’ve learned in 50+ visits to keep you safe and having fun. Just remember, there’s no firearm rentals, so bring your own or bring a buddy. They do sell ammo but it’s pretty expensive so bring your own too. 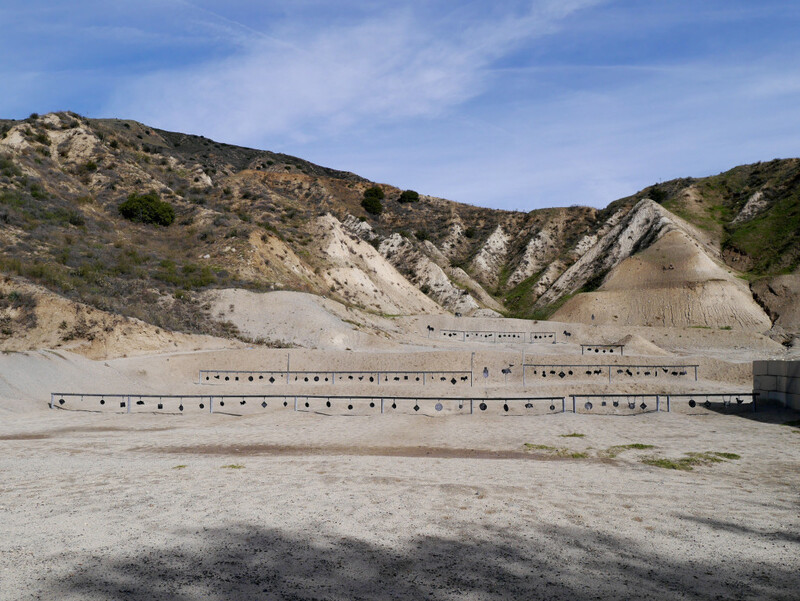 The ranges are split with the long-range rifle section on the left, the main office in the middle, and the pistol and 100 yard range on the right. There’s clay throwing machines at the end of each of the sections. I’ll go over these sections in detail. Right now it is $15 a person for weekdays normal times and days. If you can, I highly recommend avoiding the weekends (goes up to $19) since it does get very full…so go early. There’s also almost always coupons for $2 off, you just need to print them out. They only work for regular priced times. Otherwise, I usually take off work a little earlier to get their half-price special on Wednesdays which starts at 4:30pm and goes until 9pm. They light up the pistol and 100 yard area so you’ll be fine. The rifle side isn’t lit up, so if it is winter, you might need to go earlier for more daylight. Thursdays are also half-off but the range closes at the regular time of 5pm. I usually leave everything in my car while I go to the outside of the main office to sign their safety waivers. You then take the forms inside to pay. They’ll ask if you want targets. 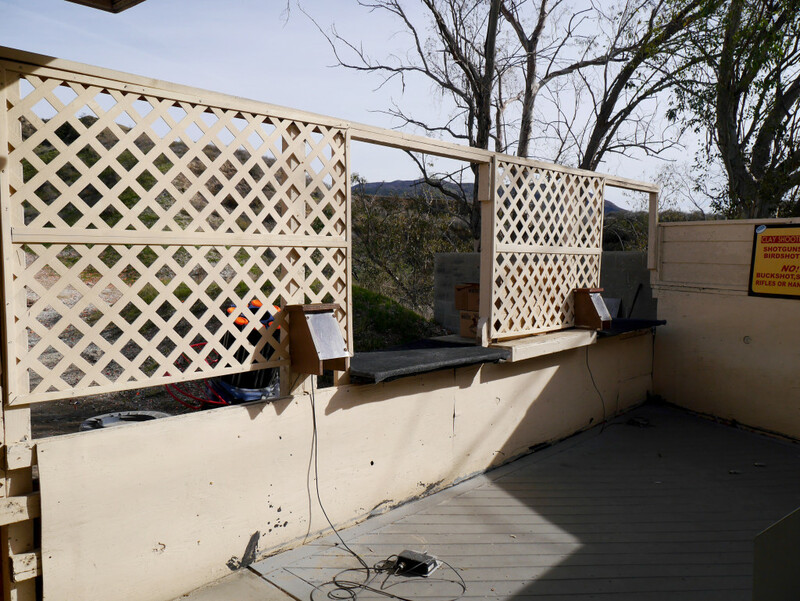 Rifle targets are $4 and are on PVC frames so you can place them in the stands at various distances (see above). Pistol targets are $2 and are just pieces of cardboard that you attach to hangars in the pistol section. You get refunded the target amounts in cash when you return them unless you destroy the PVC frames. You can also get a clay card which is a $20 deposit then plus however many clays you want for around 16 cents each. You’ll plug the card into the clay machines to activate the throwing mechanism. Pay and then you’ll get your hand stamped and reminded that you’ll need to keep your receipt for target refunds. I then go grab my stuff and head off to one of the ranges. Please have a quick overview of the 4 Firearm Safety Rules first. This is where they really count since you’ll be using live ammo! First time at a range? 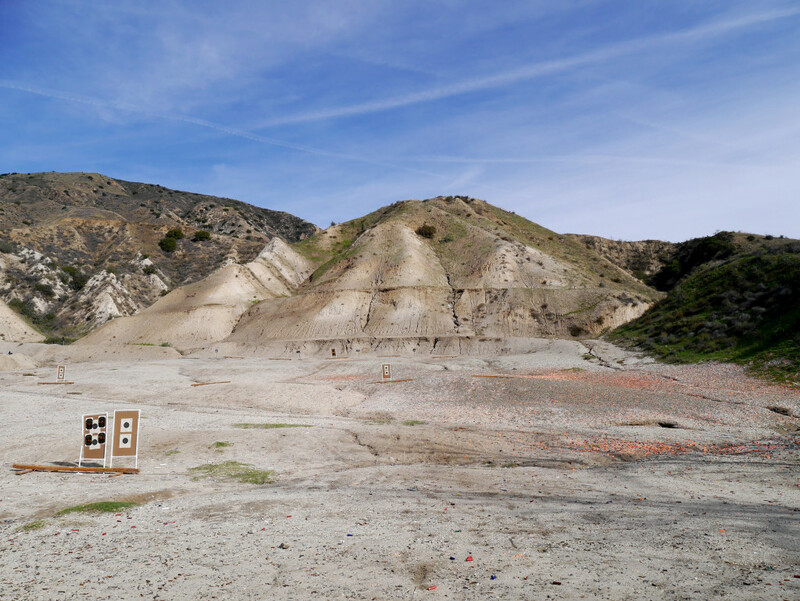 Check out our general Shooting Range Tips. First thing is to always wear eye and ear protection when the line is hot. I usually take off my ear protection during the cease fire so I can talk to my buddies easier. Although you’ll always have someone who doesn’t and just yells at everyone. 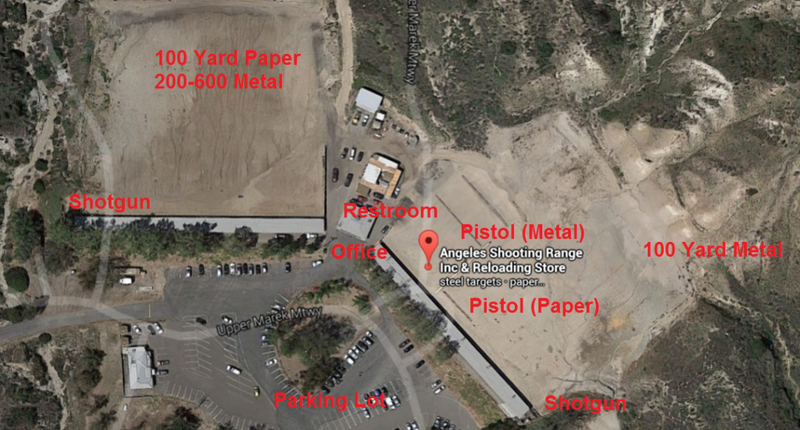 I’ve found the red-polo-wearing Range Officers (RO’s) at Angeles Shooting Range to be great overall. Their primary job is to keep you safe and they do it well. If you have any questions or if your gun malfunctions, just let them know. Once you start going frequently enough, you’ll notice there’s a core contingent combined with a revolving door of younger RO’s. As long as you’re polite and listen to the range commands, you shouldn’t have much trouble with the RO’s. Every 30 minutes or so, the RO’s will let you know on the loudspeakers that you have 1 minute to finish what you have in your gun. After that, they’ll tell you to take out the magazines, open up your actions, and step behind the yellow line. The RO’s will go through every gun to check they are unloaded and actions open. Then, they’ll let you through the benches to set up or retrieve targets. Don’t stop at the benches for any reason or you’ll be yelled at. I’m definitely guilty of this several times until it became second nature. After everyone is back, they’ll start everything up again. Once in a while you’ll have an RO come and check your ammunition with a magnet to see if it is bimetal. If it sticks to the magnet, they’ll take your ammo to the office where you’ll pick it up when you leave. The reason is that the ammo can cause sparks when it hits the steel targets and potentially start a fire. You’ll also see brooms and dustpans around which are meant for you to sweep up your brass to avoid slipping hazards. I recommend keeping the brass that is yours for possible reloading in the future. Otherwise, just dump the brass into the buckets in the middle of the aisle. Lastly, there’s no rapid firing allowed. The best you can do is fast double-taps…otherwise it is just 1 shot a second. This is where I can stretch out and touch something with my precision rifles. The 100 yard berm is for rifle targets and placing of clay targets. Just be sure not to step on the berm. For each 100 yards past 100 yards, there’s a set of steel targets. The 500 and 600 yard targets are a little to the left. There’s few things in life that’s more satisfying that hitting the 600 yard target and hearing the ting! a second later. The first part of the right side only allows pistol calibers. It’s all metal targets which make it so much more fun than punching paper. You’ll need some decent skill to hit the first line of metal targets 25 yards away. 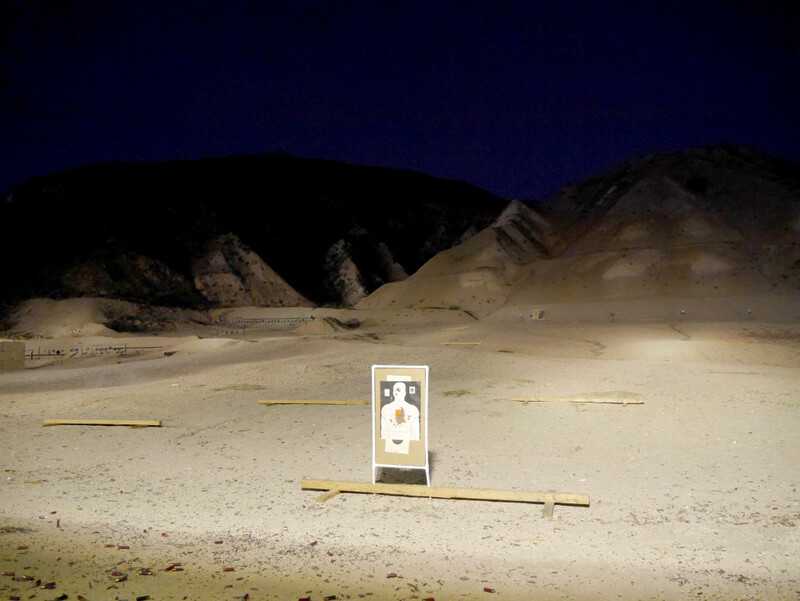 To the right of the metal targets are wooden frames where you can post up cardboard targets about 7 yards away. Here is where I zero my pistols or use reactive sticky targets to see where I’m actually hitting. To the right of the wooden frames are 100 yard metal gongs. You can use rifle calibers here. At the way left of the rifle side and the way right of the 100 yard metal ranges are shotgun stations where you can put your clay card. You can set options such as time delay, but I usually just leave it alone and have the clay fly out as soon as I step on the foot stomp. They only allow birdshot here. There’s also a reloading store in the parking lot where you can get a decent selection of stuff if you don’t want to wait for online ordering. Once in a while you’ll also hear some automatic fire. Those are usually from law enforcement practicing in one of the private ranges off to the side or further up the mountain. A couple firearm schools also rent the ranges to conduct classes. I highly recommend ITTS classes. Sometimes there’s wildlife that wanders into the range. If you see them, don’t shoot it! You’ll be guilty of poaching which has some hefty fines and possible jail time. Let the RO know and they’ll shut down the range until it scurries off. The headline of their site says, “No Rental of Firearms or Reloaded Ammo. Does that mean you can’t use reloaded ammo at the range? Since I reload all of my ammo, that would be a game killer. “We only sell ammo to customers shooting on our ranges. We no longer allow the use of steel core, steel or bi-metal jacketed ammo (can be tested with magnet on the bullet). If you are found to have this ammo we will remove it to the main office and can be picked up when you leave. I purchased my first firearm few days ago and ‘m still putting together accessories. Among the people I know, no one owns a firearm or has any experience with shooting long range. Hence the question, can I expect to meet people at range, make friends and learn from them? I could use a lot of advise on how to set up my rifle, sight it in, precision shooting and eventually hunting (my goal). Hi A, I would say 99% of the people I’ve met at the range have been really nice and open about talking about their guns/gear/etc. The range officers help out a lot too. If you really want to be able to talk to people with like-minded interests, I would say join a competition or for you…a hunting club/class? 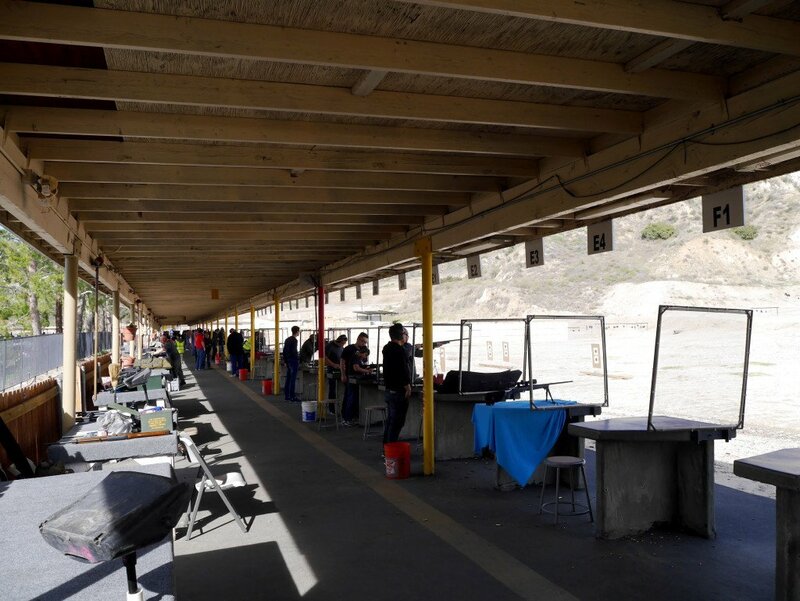 The first row of steel at the pistol side is 35 yards. Thanks Ruben! I’ll feel a little better now when I miss.